Washington County Public Health is reminding people to take precautions over the next few days to avoid heat-related illnesses, such as heat cramps, heat stroke and heat exhaustion. Check your library's hours for this weekend - they all have air conditioning! Tualatin Public Library will be open extended hours on Saturday (10AM-9PM) and Sunday (1PM-9PM). In addition, please see this public health press release for a comprehensive list of places to beat the heat this weekend in Washington County. 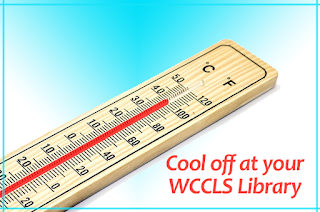 Washington County will also post any updates to cooling center information.